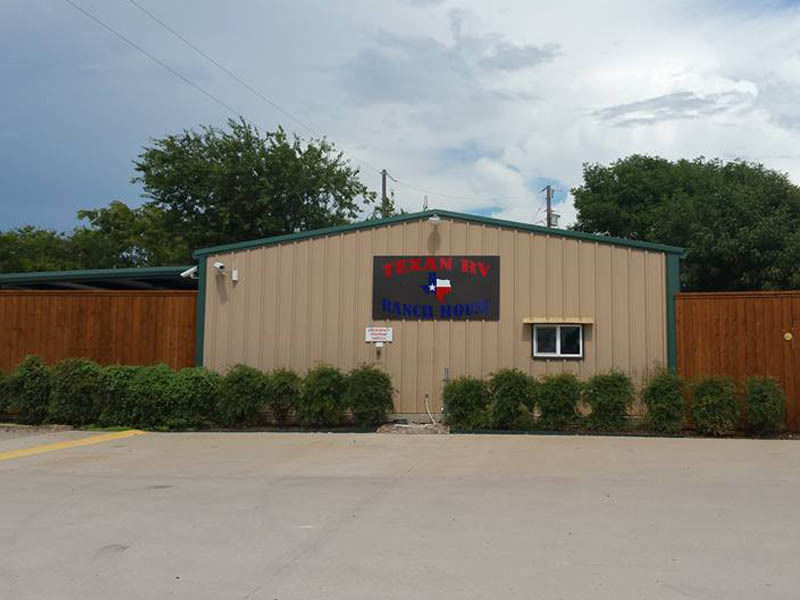 One of the best RV Campgrounds in the Dallas Fort Worth Area! We offer a country setting with the benefit of being close to a city with a lot of franchise restaurants, retail, and activities. 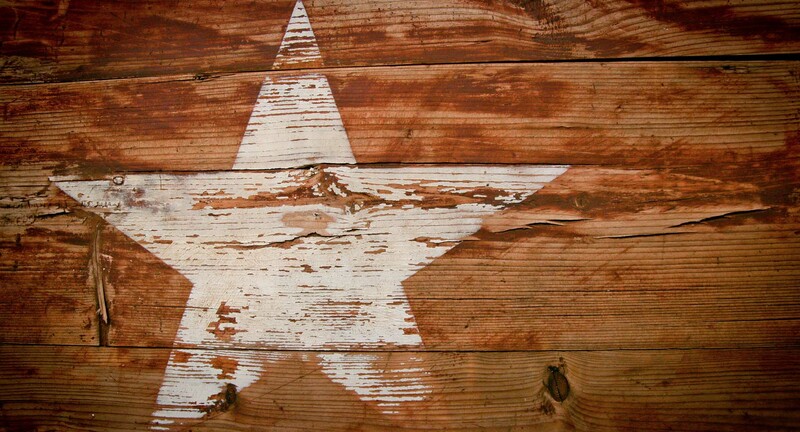 We are nestled in a quiet place on the southeast side of Mansfield, Texas. Here, you can enjoy the peace and quiet of the country with the convenience of virtually everything you can imagine within minutes from the RV park. While you are here, you will appreciate a fully stocked convenience store, clean and private bath houses, laundry rooms, swimming pool, on-site propane, level pull-through spots, and so much more. “My husband and I lived here for about a year when we first moved to the DFW area. I cannot say enough good things about it! All you need are your clothes and food! Fully furnished 1-bedroom, 1-bath cottage sleeps four, with all the comforts of home, including fresh linens, functional kitchen, 2 televisions and a pullout sleeper sofa! Rate includes all utilities, Wi-Fi and cable. Deposit required and varies per length of stay. Check with front office for cottage policies. Call for details. All you need are your clothes and food! Fully furnished 2- bedroom, 1 bath cottage sleeps 6, with all the comforts of home, including fresh linens, functional kitchen, 2 televisions and a pullout sleeper sofa! Rate includes all utilities and Wi-Fi and cable. Deposit required and varies per length of stay. Check with front office for cottage policies. Call for details. All you need are your clothes and food! Fully furnished 1-bedroom, 1-bath cabin sleeps four with all the comforts of home, including fresh linens, functional kitchen, 2 televisions and a pullout sleeper sofa! Rates include all utilities including WI-FI and cable. Deposit required and varies per length of stay. Call for details. Deposit will be returned upon inspection of cabin on departure date. If policies posted are not followed, deposit will be forfeited. Guest could be subject to additional cleaning or damage fees. Our coin-operated commercial washers and dryers offer high-capacity loads that finish in less than an hour. 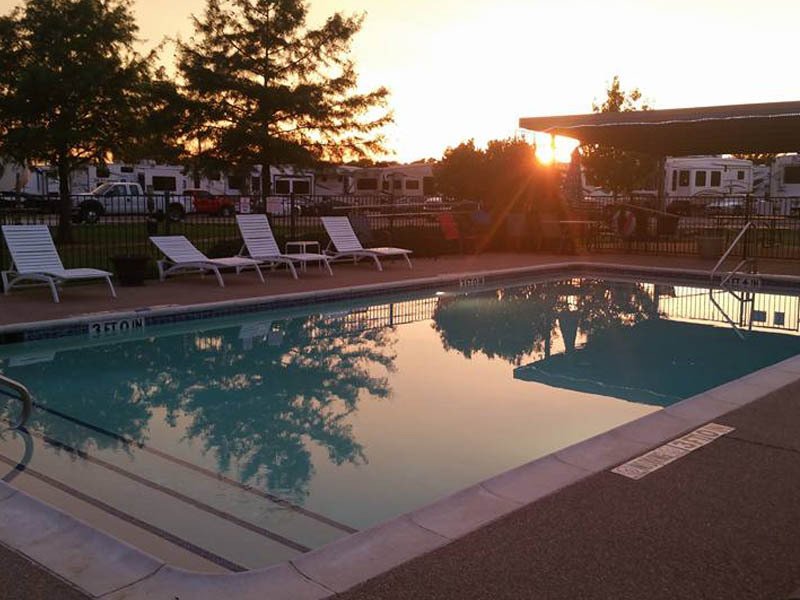 Relax poolside and enjoy the long summer days at Texan RV Ranch. Our pool is open from Memorial Day to after Labor Day. Near the playground, basketball court, and horseshoes. Pavilion with tables and porch swing. The perfect gathering place for all sorts of activities. We have been staying here since September and it’s awesome! We have 2 young children and I love the play area for the kids!! Everyone here is friendly and nice. We full time so my biggest thing is feeling safe where ever we stay at and I definitely feel safe here! All the staff are friendly and nice. The store is so convenient! Laundromat is clean and nice! I would highly recommend anyone needing to stay for a short time or a long time to stay here! Free broadband Internet at each site for multiple devices. Clubhouse furnished with flat panel TVs inside and out, pool table, and kitchen. In-ground swimming pool with covered pavilion and propane grill. Individual bathrooms with showers. Keyless coded entry. 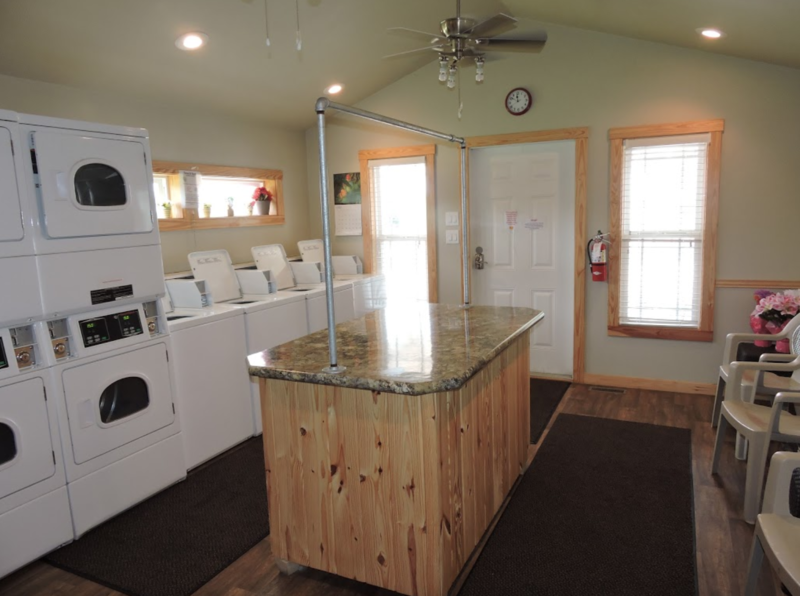 Commercial washers and dryers with folding tables, TV, and keyless coded entry. Fully stocked store with food, beer, wine, ice, and other convenience items. Slide, jungle gym, basketball court and horseshoes for kids and kids at heart. Two dog runs for our four-legged guests. Turn them loose and let them run! On-site propane refill station. Free pickup and delivery for monthly guests. A deposit is taken on each reservation and all rent payments are due at or before check in. RV site rates are for up to 2 people per site. There will be an additional charge of $2.00 per night, $10.00 per week, or $30.00 per month for each additional person. Persons 6 years of age or younger are free. Daily and weekly rates include electric, water, sewer, WIFI and CABLE. Monthly rates include water, sewer, WIFI and CABLE. Electric meter will be read on rent due date. A $100.00 refundable 5 day notice electric deposit will be collected on all monthly arrivals. Pets: Friendly pets are always welcome in the park. NO pit bull related breeds or any aggressive dogs permitted. All pets must be up to date on vaccinations. Pets must be kept on a leash all times when outside. Continuous barking dogs will not be tolerated. RVs: All RVs must be clean, look nice and be in good repair. No FEMA trailers. No window air conditioning units. No tarped roofs, boarded windows or RVs in poor condition. If in doubt, email a photo for review. Guests and Visitors: We reserve the right to refuse service to anyone. Illegal activity, violence, vandalism, vulgar, foul or threatening language will not be tolerated and are grounds for immediate eviction. CommentsLet us know how we can help!